Pope Francis is due to make an historic trip to the United Arab Emirates, the first ever papal visit to the Arabian Peninsula. Francis will spend less than 48 hours in the United Arab Emirates, which is fighting alongside Saudi Arabia in the Yemen war, and is due to make only two public addresses during the trip that starts on Sunday night. Although short, the visit to the peninsula, home to two million expatriate Catholics as well as the holiest sites of Islam in Saudi Arabia, is a landmark one. The freedom to practice Christianity or any religion other than Islam varies across Gulf countries. 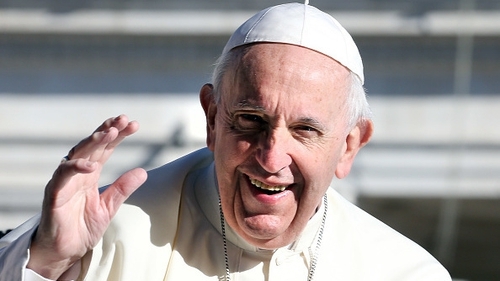 The papal Mass in Abu Dhabi's Zayed Sports City on Tuesday, is expected to draw some 120,000 people. "I am happy for this occasion the Lord has given me to write, on your dear land, a new page in the history of relations between religions," Francis said in a video message on Thursday. It started in Arabic with the words Al Salamu Alaikum (Peace be with you). Priests, worshippers and diplomats in the UAE say it is among the most tolerant countries in the Gulf region toward other religions. In the UAE and Kuwait, Christians may worship in churches or church compounds, and in other places with special licences. In Saudi Arabia, churches are banned. Francis praised the UAE as "a land that is trying to be a model of coexistence, of human brotherhood, and a meeting place among diverse civilisations and cultures." He has already visited half a dozen predominantly Muslim nations and has used those trips to call for inter-religious dialogue and to condemn the notion of violence in the name of God. In March, he will go to Morocco. The war in Yemen, which the pope has condemned several times, could cast a shadow on the trip. Last June, he said he was following the "dramatic fate of the people of Yemen, already exhausted by years of conflict" and appealed to the international community to seek negotiations "to avoid a worsening of the already tragic humanitarian situation". The UAE has played a leading role in the Saudi-led coalition waging a nearly four-year war against the Iran-aligned Houthi movement in Yemen. Rights groups have accused UAE-backed forces of torturing detainees in areas under their control in Yemen, charges the UAE has denied. We warmly welcome you Holy Father, Pope Francis and look forward to the historic Human Fraternity Meeting between you and His Eminence Dr Ahmad Al Tayyeb, Grand Imam of Al Azhar Al Sharif, in Abu Dhabi. We are hopeful that generations to come will prosper in peace and security. The UAE says it has never run prisons or secret detention centres in Yemen and that prisons there are under the authority of the Yemeni government. Its Yemeni allies have denied allegations of torturing prisoners. "I don't think the pope will be silent about what is happening in the region," Bishop Paul Hinder, the Abu Dhabi-based Apostolic Vicar for Southern Arabia, said in an interview when asked if the pope would speak about the war. But he said he did not know if the pope would mention it in public or in private meetings with UAE leaders. The pope will meet privately with Sheikh Mohammed bin Zayedal-Nahyan, Crown Prince of Abu Dhabi, who invited him. "There may very well be some people who will criticise him for going (because of the war in Yemen) but I expect that he will raise this issue as he has previously," a Western diplomat said. Francis will also visit Abu Dhabi's Sheikh Zayed Grand Mosque, the largest in the country, and hold a private meeting there with the Muslim Council of Elders. Vatican officials call Catholic communities such as those in the UAE "passport Churches" because the priests, like the mostly Filippino and Indian Catholics they minister to, are foreign and need permission to live and work there. This is different from other mostly Muslim countries like Syria and Iraq, where there have been local Catholic communities and priests for centuries. "We are really stretched. We need more churches. We need more priests," one official said.